Each box is curated around a specific theme. The theme of the August 2016 Play! by Sephora Box is The Eye Openers. This selection of products puts the focus on the eyes and will refresh and recharge your beauty routine. And like last month, there are a few product variations in the box based on skin type. They're continuing to do a great job with the pouch designs. The winking eye is adorable! You can subscribe to Play! by Sephora online here. You put your email on a waitlist and once a spot opens you'll be notified to claim your spot and join. This subscription is currently only available in the U.S. and can ship to any address in the contiguous 48 states. When you subscribe, be sure to complete your Play! Profile because it will help products get customized for your beauty concerns. Just so you know, you don't get to choose any of your samples and there is no way to skip a month. 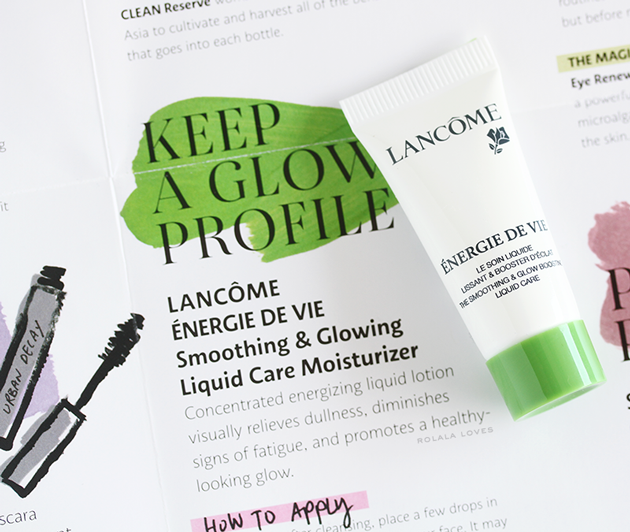 Lancôme Énergie De Vie The Smoothing & Glow Boosting Liquid Moisturizer :: A moisturizer that visually relieves dullness, diminishes signs of fatigue and promotes a healthy looking glow. The unique Korean beauty inspired formula is hydrating like a cream, concentrated like serums, and light like essences. It is formulated with goji berry, lemon balm, and vitamin E to provide antioxidant protection against free radicals. I was initially a little meh about this moisturizer until I read the description which made it sound a little more exciting. The roster of ingredients are appealing too. I love how goji berries are such a thing now considering I grew up with them used in a variety of soups and dishes. 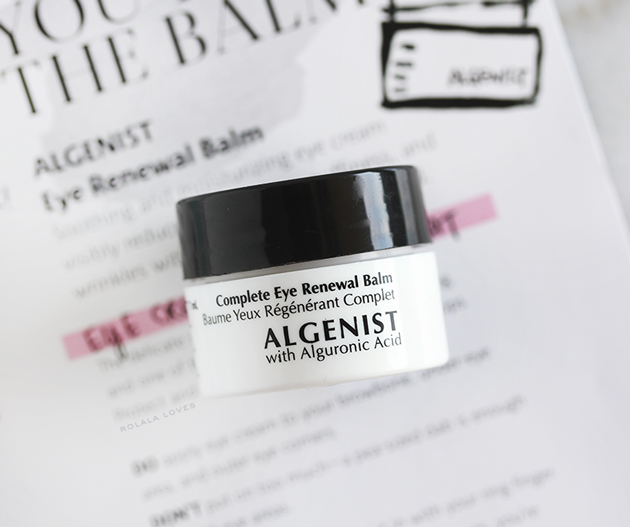 Algenist Eye Renewal Balm :: A multitasking eye cream designed to hydrate and soothe, minimize the appearance of fine lines and wrinkles as well as diminish the appearance of puffiness and dark circles around the eye area. Contains alguronic acid combined with vitamin C, caffeine, cucumber, aloe, and green tea extracts. If this eye cream actually does everything it claims to, it would be pretty amazing. In my experience, these multi-taskers usually come up short but I will certainly try it out with hopes for a good result considering it's not that expensive either. 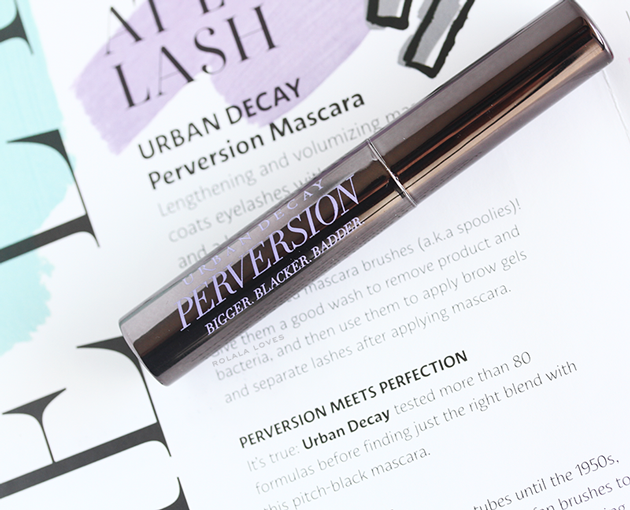 Urban Decay Perversion Mascara :: A lengthening, and volumizing mascara with a high tech brush that separates and defines lashes with a triple black pigment for a clean, clump-free look. The formula contains Hairdensyl, a complex blend of proteins and amino acids that are known to stimulate lash growth. A honey extract provides deep nourishment, sea idrolized elastine stimulates the hair follicle, and marine collagen protects. I've seen good reviews of this mascara around so I'm looking forward to trying it. 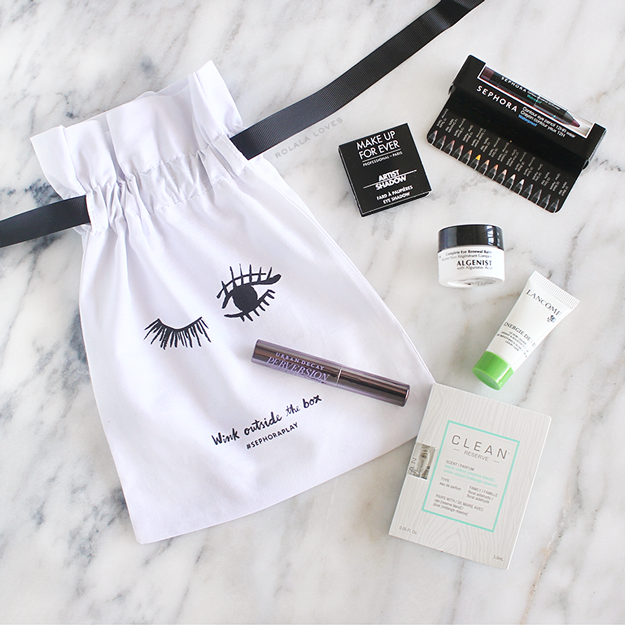 The formula sounds fantastic and I'm all for super black mascaras. 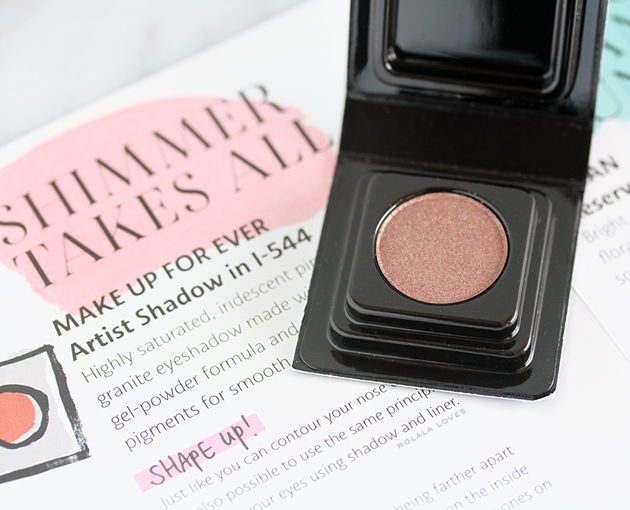 Makeup Forever Artist Shadow in I-544 :: A highly saturated, iridescent pink granite eyeshadow made with a unique gel-powder formula and ultra fine pigments for smooth, super-saturated, lasting color. I have tried MUFE eyeshadows before and they're good quality and wear well. This happens to be a wearable and flattering pinkish mauve colored eyeshadow which I will actually use instead of forget about. 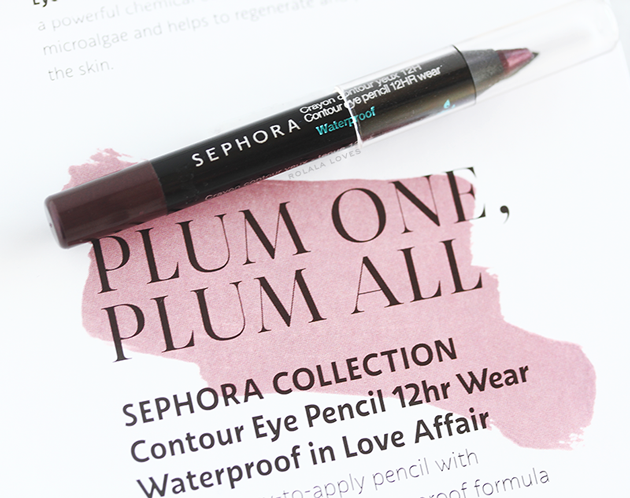 Sephora Collection Contour Eye Pencil 12HR Wear Waterproof in Love Affair :: A creamy, easy to apply pencil in a shimmery plum shade. The long lasting silky formula is resistant to water, heat, and humidity, ensuring up to 12 hours of smudge-free wear. I tossed my old plum MUFE eyeliner pencil during my last mega organization/purge session because I couldn't remember how old it was. Better safe than sorry y'know. I hadn't gotten around to replacing it so needless to say I was quite thrilled to see this pencil. The 12 hour waterproof formulation certainly sounds promising. 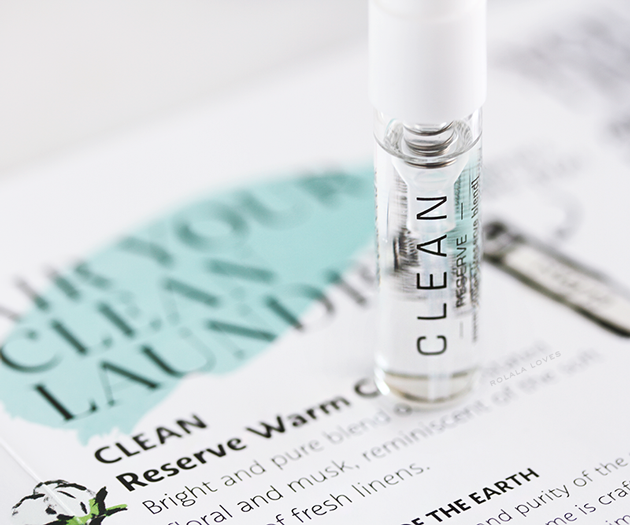 Clean Reserve Warm Cotton :: This is a scent for those who prefer to smell quintessentially clean. The fragrance is a bright and pure blend of understated floral and musk that is reminiscent of the soft and comforting smell of fresh linens. I actually sprayed this into the air before even reading the description and my first thought was that it smelled like fresh laundry so I'd say that they nailed the fragrance. While it is nice and clean and I don't know that I'd personally want to walk around smelling like a linen closet. I think I might try the Play! Hack and spritz my shelf liners with this scent. I think this month's Play! by Sephora Box was solid since I will be putting every single item to use, even the fragrance. I still remember last month's scent being so terrible that I couldn't toss it quick enough. The box was well themed with a varied and appropriate mix of products. I've said it before and I'll say it again, at just $10, the value of this box can't be beatI Sephora has already revealed that the theme of next month's box will be the Unbasic Basics. Sephora gives you a little video peek at the month ahead and they also provide monthly Unboxing Videos where you can learn more about the products themselves as well as how to use them. You can sign up for Play! by Sephora online here. You can also learn more about the subscription by visiting their FAQ page. What do you think of these products? Which one would you want to try? 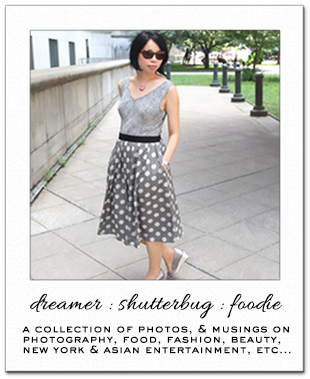 Disclosure: This post features products purchased by me and may contain affiliate or referral links. For more details about my product review policy, copyright, and information about affiliate links, please refer to the Policies page of this blog. Such a lovely beauty box!!! Sephora rock this month so many great products. Excellent bag this month. Lots of goodies! Nice stuff! Thank you for sharing. Haha fresh laundry scent sounds funny. I think the idea of spritzing the shelf liners is pretty good though. I'd love to try the mascara. It sounds like a nice subscription box, too bad it is only for the US for now. I might have subscribed to it. Happy Monday, Rowena! Ooh this does look like a fun box! It really is interesting to see the power of goji berries. We used to grow tons of it when I was growing up and I'd be interested to use it. Anything that smells like fresh laundry sounds good to me! Quantos produtos bacanas! Adoraria testar tudo! hehehe! Oh I love the UD mascara it's perfect for the office and most important it doesn't transfer or smear, no panda-look, lol. Happy new week, Rowena. This sounds like a lovely box! I love how every Sephora box has a theme! 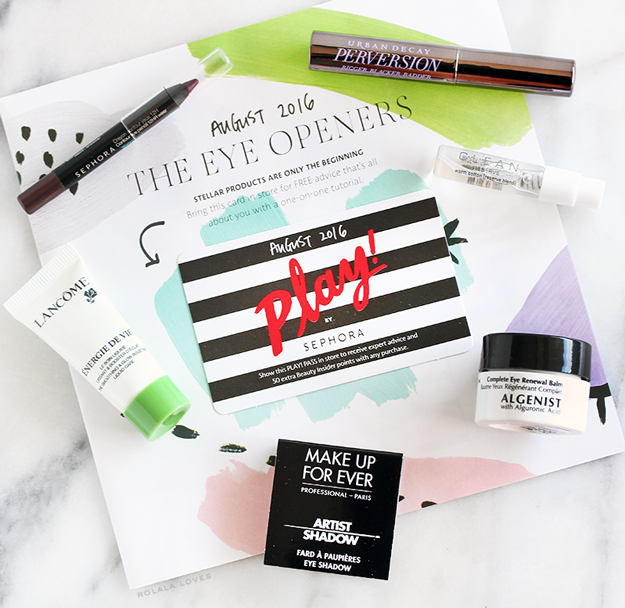 That eye print is so cute....and appropriate, considering that the theme of the month is all about the eye products. Those eye creams seem interesting...and I'm all for super black masacaras too! Oh gosh! I love Perversion mascara Rowena! So far it's my favorite. I need to try some higher end, but I loved it. I heard CLEAN was really good. I could see it as a home fragrance, but personal...hmmm. I haven't tried anything from the Algenist brand. Can't wait to hear your thoughts. I am with you on the multi-taskers I don't believe they work like shampoo and conditioner in one hmmm. I would love to find an eye cream that actually works at depuffing...still looking. Yes the pouch is great! Play! by Sephora sounds fantastic. Too bad it's only in the U.S. I'm curious about the perfume! What an intriguing scent. I love the color of that mufe eyeshadow! I really love Sephora ;) and I have to try these cosmetics. Make Up For Ever is a great brand; I love their eyelashes. I also love Sephora's products: I like their eyeliner, nail varnish and lipliner and they are great value for money. I guess I´d like to try the liner and the shadow, but it would be a box that I was a little disappointed by. Not because the products are bad, but because nothing in it would excite me. I have to try some of this things, great post!!! I think I would love that fragrance!